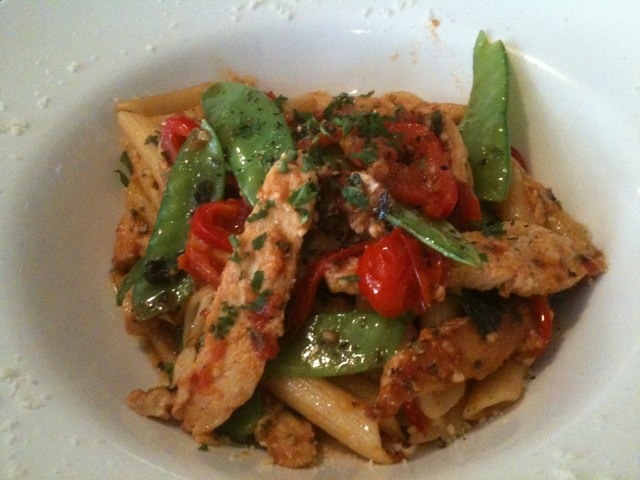 Chicken penne with snow peas at the Whistle Stop. Clara, Steve & Mamma delight us with a delicious meal & engaging conversation. Viewpointe Sauvignon Blanc pairs perfect. Next Next post: Linguini w seas scallops, tiger shrimp, local fresh asparagus, sherry cream sauce drizzled with white truffel oil. Baroness says “best she’s ever had.” paired very well with Viewpointe Sauvignon Blanc.